The glass-ceilinged 'Levin Iglut' igloos, also known as the Golden Crown Levi Igloos, rest on the fell slope, at an altitude of about 340 m. They offer guests luxury on the edge of the wilderness: a view of the rugged fell landscape and the northern sky, high-quality accommodation and personalized, heartfelt service. We offer several different options for staying at the Levi Glass Igloos as well as customised tours. An hour's flight from Helsinki, Levi can be reached from Kittilä airport, a 15-minute drive away. Levin Iglut is located in Finnish Lapland, to the north of the Arctic Circle. Here, the winter lasts for half the year and you can often see the Northern Lights on clear nights. Guests are surrounded by the arctic nature, yet inside the glass igloo it is always warm and all amenities are within reach. Even though the centre of Levi and its services are only 10 km away, it is peaceful and quiet at Levin Iglut. You can travel to Levi from other cities of Northern Finland and Northern Norway with private transfers or local buses. 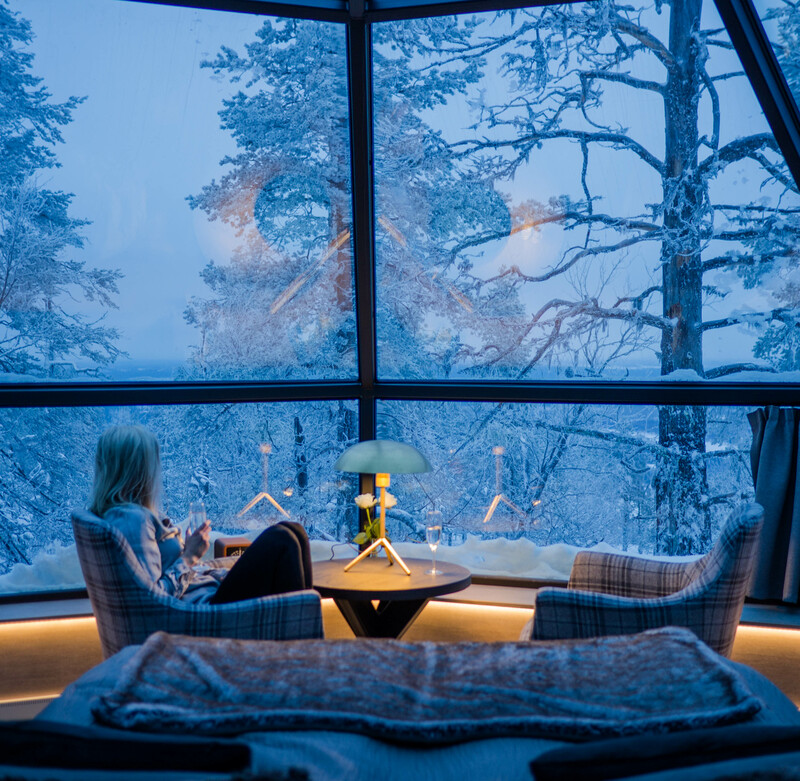 These transfers allow you to add more Lapland highlights with your stay in a glass igloo, such as a Kirkenes King Crab Safari, a Hurtigruten North Cape voyage, a stay in an iceroom at the Snowhotel, a visit to Santa's hometown Rovaniemi and a float in sea ice in Kemi. There are two different types of igloos to choose from; Superior Glass Igloos (19 igloos) and Premium Glass Igloos (5 igloos). The main difference between the two igloo standards is the location. The Premium igloos have the prime location on the side of the fell: the best unobstructed view of the valley and the northern sky. Additional premium amenities include a specialty coffee maker and a bathrobe and slippers PLUS a welcome drink is included in the price. Double bed, motorized beds that can be separated from each other. You are staying in a glass igloo so you may want to bring eye masks to help sleeping once the sun rises. When you shower, the windows of the igloo can fog up. If the Northern Lights are imminent, don't shower! Plus the igloos don't have a lot of hot water so just take care with how long you are planning to be in the shower. Book dinner if you haven't already arranged it and double check on arrival. Expect that you will probably need to carry your luggage to your igloo - it is not typical for there to be a luggage service in Finland. There is usually a sled that can be arranged if you need it. For a small fee, this service can be arranged. Reception has limited hours so on arrival, just double check that everything is organised as per your expectations. Double check what time the reception is open until. Download an Aurora App which will let you know when the aurora shows, fingers crossed! A wonderful addition to a stay at the Levi Glass Igloos is the Restaurant Aurora Sky. You can enjoy Scandinavian flavours in two different atmospheres. On the upper floor, your dinner is seasoned with an unobstructed view of the sky, while on the ground floor, you can enjoy your meal in the warm glow of the fireplace. NOTE: This restaurant is only open in the Aurora Season. The restaurant can hold up to 80 diners. Aurora Sky attracts customers from the entire Levi area, so we recommend you reserve a table for dinner. Be immersed in a tiny lakeside village, just outside of Äkäslompolo, deep in Finnish Lapland surrounded by the peaceful old forests of the Pallas-Ylläs Nature Park. Staying at a small boutique hotel, enjoy getting to know the locals and join in some exhilarating winter activities like husky & reindeer sledding, ice fishing and snowmobiling. Ski and snowmobile tracks go practically from the front door, you can relax in the outdoor smoke sauna & hot tub and sit down to home cooked locally sourced food each evening. Then transfer to your glass igloo accommodation in the magical unspoilt nature of Finnish Lapland. Sleep under the Northern Lights, fingers crossed, in well-appointed glass igloos, complete with private kitchenettes, showers, and toilets. 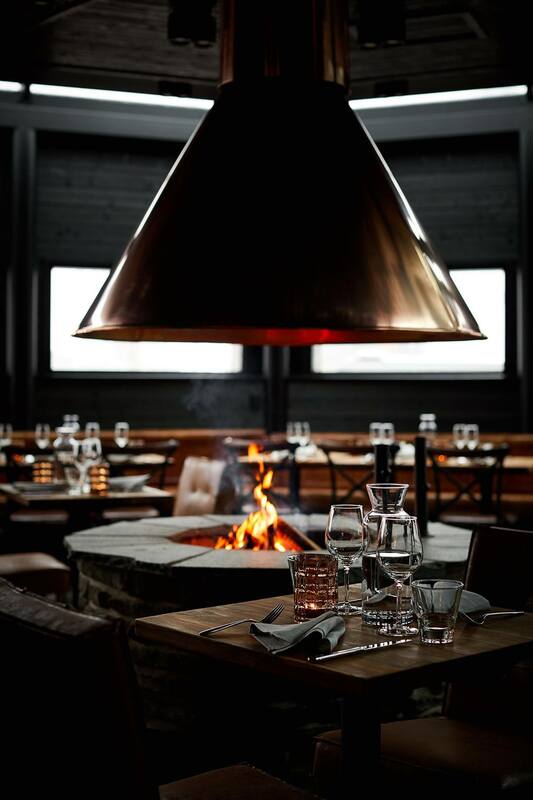 Dinner is a Lappish affair and is served daily in the glass-roofed restaurant. Spend Christmas this year in Northern Finland. Known for their seclusion, mountain views and aurora skies, the Levi Glass igloos are the perfect spot for a White Christmas. These well-appointed glass igloos are complete with private kitchenettes, showers, and toilets. Dinner is a Lappish affair and is served daily in the glass-roofed restaurant. Christmas Eve will be a special 4-course traditional Finnish Christmas dinner. Fill your days with winter activities - dogsledding, snowmobiling and a reindeer safari. In addition, not too far away is the bustling ski resort of Levi for winter shopping, evening skiing and further activities. A perfect winter stay in search for the Northern Lights.Surrounded by the magical, unspoilt nature of Finnish Lapland, only 9 km away from Levi ski resort, sleep under the Northern Lights in well-appointed glass igloos, complete with private kitchenettes, showers, and toilets. Dinner is a Lappish affair and is served daily in the local restaurant. Spend the days participating in adventurous activities such as husky sledding, reindeer safaris and snowmobiling before bedding down under the Arctic Sky. For all our Northern Lights Igloos stays, read here.